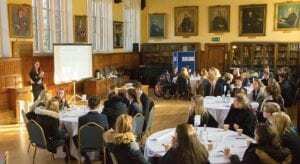 Our 'Careers in Law' Insight Day has been designed to be delivered in-house at schools. During the event, a lawyer will give students an inspiring yet realistic insight into the legal career options available to them - as well as how to pursue them. The day includes all the latest on the exciting new legal apprenticeships. If you're a teacher advising aspiring lawyers, get in touch today!